Melbourne YCW fulltime worker, Paul Ladds, died in a car accident on 21 August 1967, fifty years ago today. A star Australian (AFL) footballer as well as a committed YCW leader, Paul's death sparked a national road safety campaign organised by the YCW, which eventually led to major changes in Australian road laws. This video by the YCW Archive and Research Centre in Melbourne recalls that campaign. Tragedy struck prior to the commencement of the finals when brilliant Centre Half Back Paul Ladds was killed in a car accident. The 22 year old Ladds had finished runner up to Waverley’s Alan Poore in the Liston Trophy the previous year, a feat he would achieve posthumously a few weeks later, finishing in second place behind Coburg’s Jim Sullivan. After accounting for Preston in the First Semi Final (14.16-100 to 13.12-90) Sandringham’s run came to an end a fortnight later in the Preliminary Final at the Punt Road Oval, the Zebras bowing out of the race for the flag at the hands of the eventual premier Dandenong (11.15-81 to 15.10-100) The match also brought a premature end to the football career of Murray Zeuschner. “The Preliminary Final was my last game of football at any level. Early in the game Dandenong Captain/Coach Alan Morrow tackled me and my knee collapsed. The injury was severe enough to necessitate three operations and ended my playing career. The tragic loss of Paul Ladds and my injury were significant factors in Sandringham failing to win the flag that year”. A few items regarding symposium follow-up etc that may be of interest. A full house at Catholic Theological College for the July Symposium heard a rich range of papers on topics past and present, global and local: from pioneers, including a courageous young female Belgian organiser and loved Australian chaplains, to emerging community movements; from Jocism’s influence on post-Vatican II religious education, to its stirrings among suburban working-class girls; from the energetic witness of current and recent YCW & YCS members, to ideas around the lay Church and Jocist potential within established Church ministries. Our hope is that through the papers, the publications, the contacts made and ideas raised, the symposium might contribute to our future world and church. CCA will support several proposals raised on the day (see items below). We also invite you to join CCA in exploring how to live and spread the Cardijn vision and method among adults today. 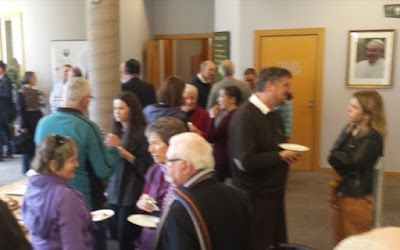 We are greatly indebted to Associate Professor Fr Shane Mackinlay, Master of Catholic Theological College for hosting the symposium, to Fr Max Vodola, Head of the Department of Church History for his work in planning the day, and to CTC staff for making it happen. We offer our sincere thanks to our presenters for the stimulating papers. And we also acknowledge those who contributed to the day by their presence (especially those who, like a number of presenters, came from interstate). A meeting to discuss the proposal, including the possibility of incorporating a Cardijn Institute under Victorian associations legislation, will be held at 6 pm Friday 25th August, at YCW House, 537 Brunswick Street, Fitzroy North. Exciting presentations from YCW and YCS at the symposium explained their plans to grow these movements. The need for capable and enthusiastic mentors for new and existing groups is crucial. CCA has enthusiastically accepted the request from the young people to provide whatever support we can using our networks to attract suitable mentors. On the 19th August members of Cardijn Community will be in discussion in Adelaide with the young leaders to take these plans forward. Comments on the draft CCA Family Inquiry to Wayne McGough: 0408 505 356; wmcmmcgough at bigpond.com. We welcome new member-subscribers to Cardijn Community Australia. 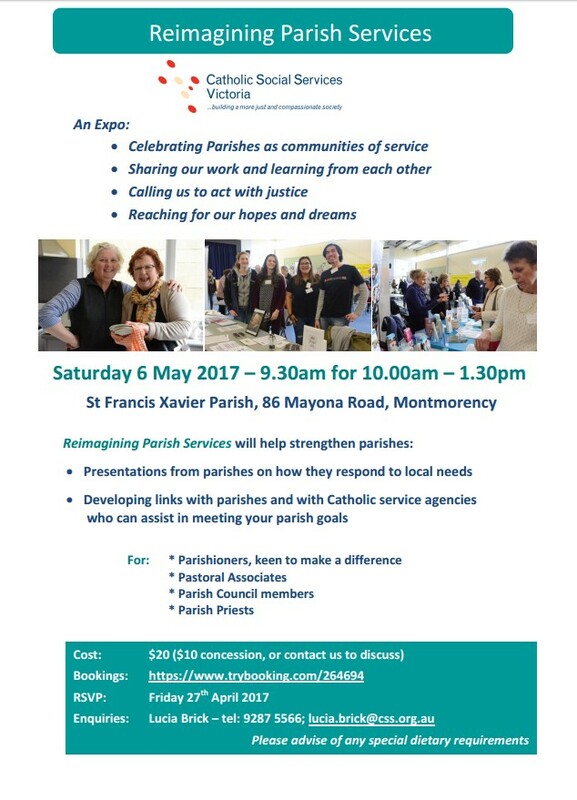 Fees: individuals $25; unwaged and pensioners $15; groups / families $50; parishes $100. The full draft program for the Cardijn Community Australia/Catholic Theological College/University of Divinity Symposium on "Promoting Lay Formation: Cardijn and the YCW in Australia" has been announced. The Symposium will be held on Saturday 29 July at Catholic Theological College, Victoria Parade, Melbourne. 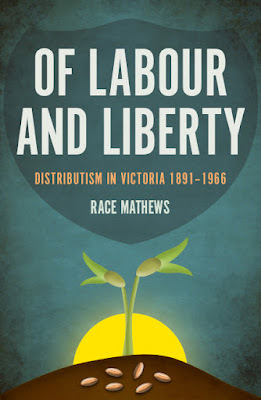 Worker cooperatives champion, Race Mathews' important new book 'Of Labour and Liberty, Distributism in Victoria 1891-1966' hits the shelves this month with an official launch by former Victorian Premier Steve Bracks on 26 April. Written as a doctoral thesis for Catholic Theological College, Melbourne and the University of Divinity, Mathews' book tells the story of the development of the cooperative movement in the Australian state of Victoria. 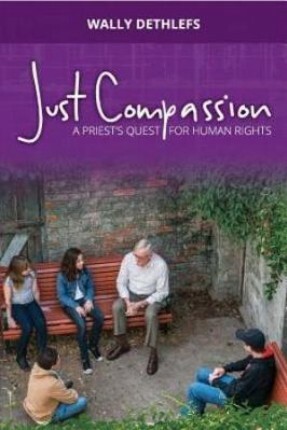 The book is a stunning tribute to the role of Catholic individuals and groups over the course of this history. In particular, Mathews notes the seminal impact of Pope Leo XIII's encyclical, Rerum Novarum, and the role of English Cardinal Henry Manning, both of whom also had a great influence on Cardijn. 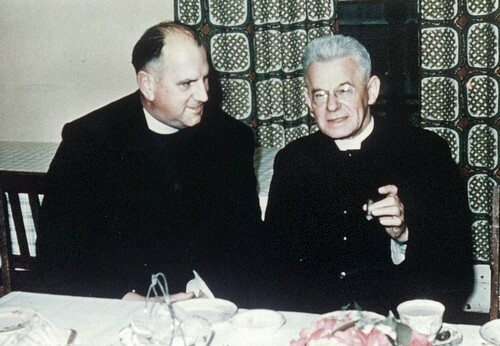 In the Australian context, these ideas were taken up by Sydney Cardinal Patrick Moran, who was a great defender of worker rights, and Archbishop Daniel Mannix in Melbourne. The Campion Society also played a significant role in these developments, including Kevin T. Kelly, a key figure in the arrival of the YCW in Australia. Later, however, the Melbourne YCW played a critical role in the actual concrete development of cooperatives in Victoria, particularly through the role of Ted Long. Mathews also highlights the development of the worker cooperatives in Mondragon in Spain's Basque region, which were created by Fr Jose Maria Arizmendiarretta, who worked closely with the JOC study circles in the town. Race Mathews' new book is an important contribution not only to labour and cooperative history but also the history of the YCW. Race Mathews, Of Labour and Liberty, Distributism in Victoria 1891–1966, Monash University Publishing, 2017. Cost: Free event, but please RSVP to Sarah Cannon. With speakers Race Mathews, Godfrey Moase (NUW) and Melina Morrison (CEO, BCCM) and more to be announced. Cost: Free event, but please register online by 2 May via the University of Sydney website.